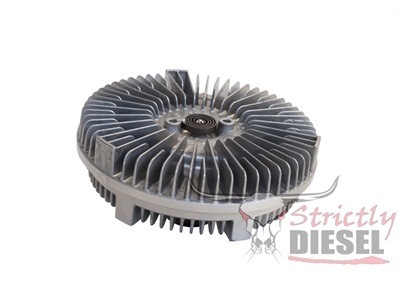 This fan clutch from Hayden is a direct replacement for the OEM fan clutch in 94-97 Ford 7.3L Powerstroke Diesel pickups. This clutch can also be used with our 6.0L Powerstroke and Cummins fan adapters to eliminate the electronic fan clutches in those applications. See the "Related Products" section at the bottom of the screen for more information on these adapters.